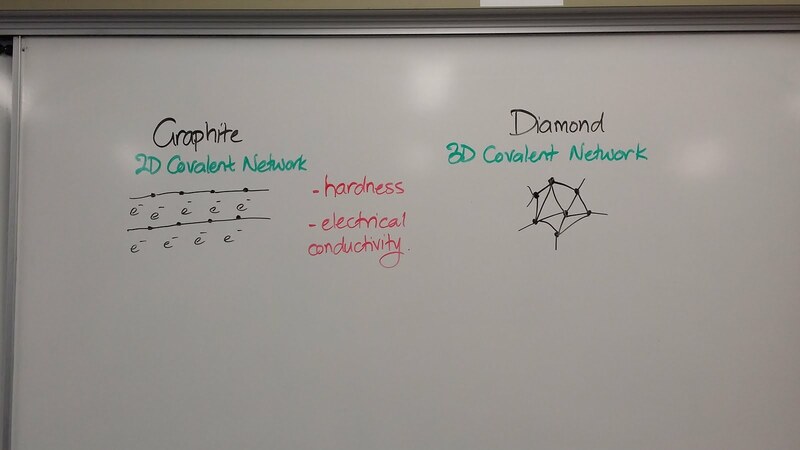 We then looked at two covalent network solids with very different properties: graphite and diamond. 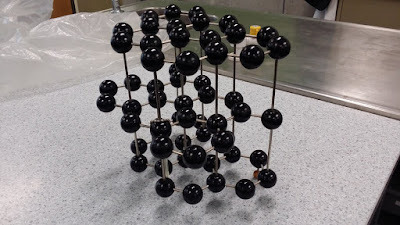 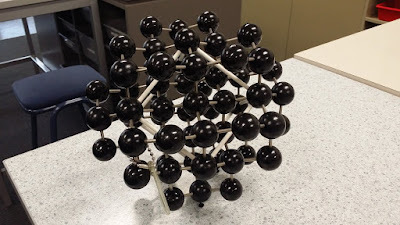 A model of diamond showing the 3D lattice - 4 covalent bonds per carbon atom. 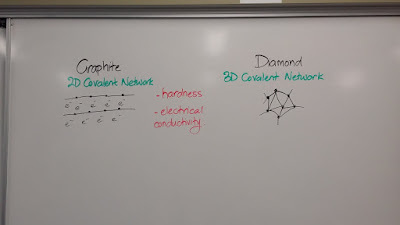 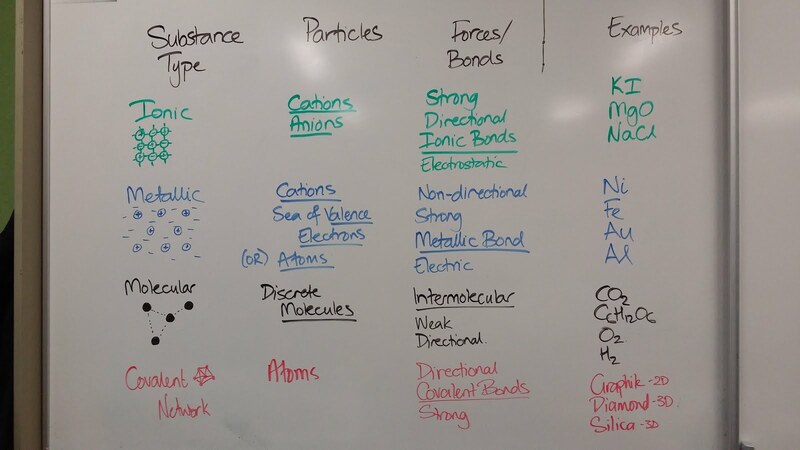 Our next task was to explore a couple of the characteristic physical properties of these allotropes of carbons: hardness; and electrical conductivity. 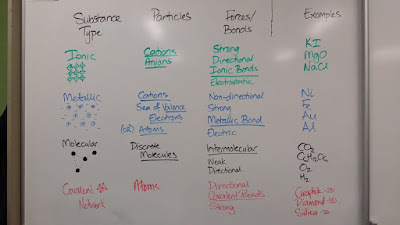 The trick is to link these properties to the particles and/or bonds/forces within the substance.